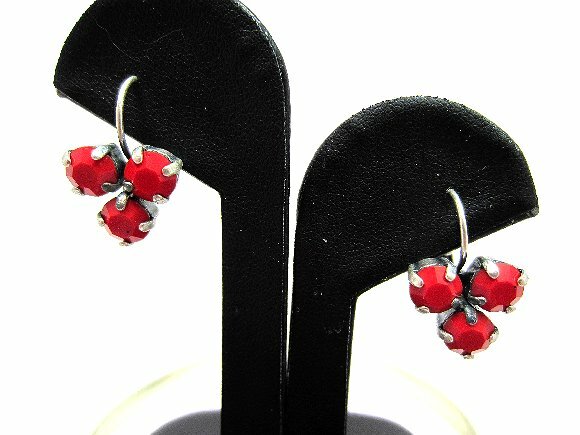 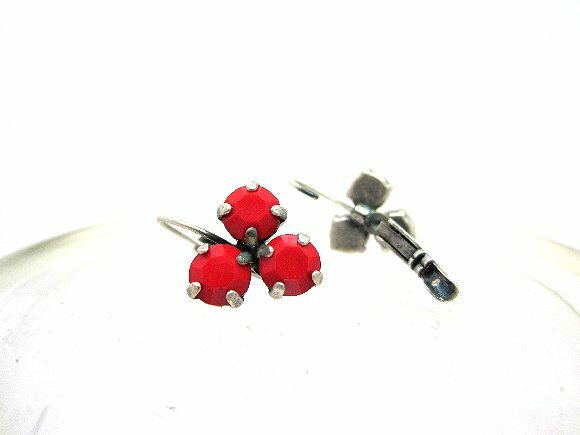 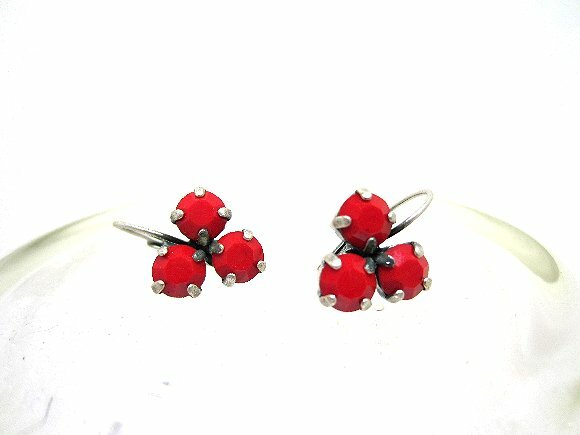 The BRIGHT red vintage crystal stones in these earrings each measure more than 6mm across. 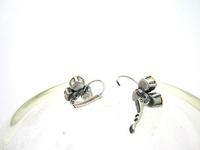 The mounts have been soldered to leverback findings to make a pair of earrings that is stylish and dramatic. Be sure to see all the sparkly crystal earrings here at SPARKLE PLENTY.